One Louder Magazine: Craig – throughout your life, you have played guitar and keyboards, engineered, produced and mastered albums, released several albums (including three by the time you were 22 years old) and written 20+ books (including the classics Electronic Projects for Musicians and MIDI for Musicians). Additionally, you have scored several independent movies, lectured internationally about music technology and written countless reviews and editorials. You’ve created sounds for DigiTech, Peavey, Ensoniq, Gibson, M-Audio, Alesis, E-mu, Native Instruments, Discrete Drums and Wizoo, among others. Furthermore, your designs have been used in products from TASCAM, Kurzweil, Line 6, Steinberg, and more. Let me catch my breath here for a second…<whew>! Ok, continuing on… you were one of the first musicians ever to play a synthesizer on stage, from a prototype you built in 1968 (which you refined the following year). In 1970 you invented a semi-programmable, all-electronic drum machine. You followed those successes by building various guitar foot pedals. 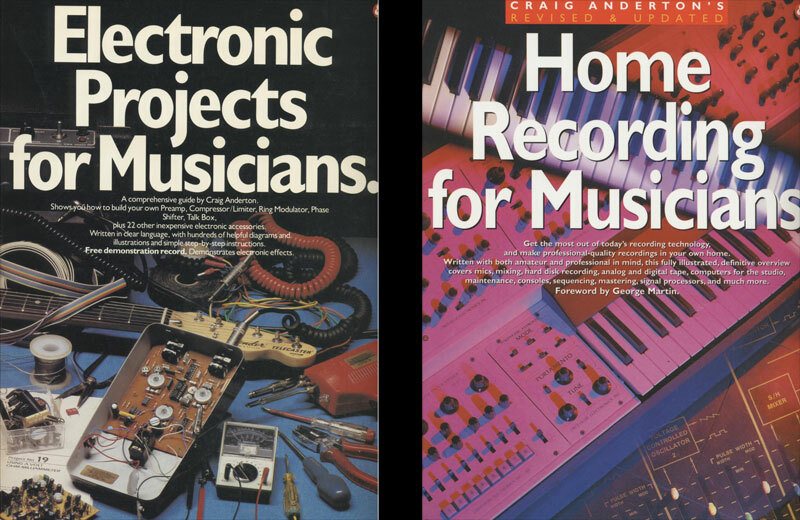 In 1980 you co-founded (and named) Electronic Musician where you worked as Editor until 1990. During your tenure, the subscriber base grew from approximately 2,000 to over 44,000! 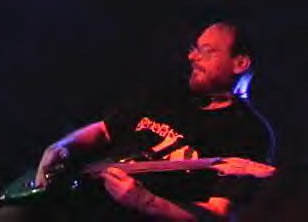 In 1995 you started Sound, Studio and Stage, the first online forum for musicians, engineers, etc. to “talk shop.” This has since been absorbed into Harmony Central, which also started in 1995, where you are currently Editor-in-Chief. You have been published in seemingly every major U.S. music publication and in a dozen, or so, international publications. You have written several owners’ manuals and quick start guides for some of the industry’s most popular musical instruments, processors and software programs. As a youngster, you operated a ham radio. Completely not music-related, but still cool: you played a bit part in Mobile Hot Shot, an Italian detective movie. [If any of our readers can find it, please let me know!]. In addition to being the big cheese at Harmony Central, you are also currently Executive Editor of Electronic Musician magazine. Impressive resume… it looks like you have experienced seemingly everything in the music industry and then some! What haven’t you done that you would like to and how do you plan on achieving these goals? Craig Anderton: I’d really like to do a multitrack recording of the Brandenburg Concertos. I did two albums with classical harpsichordist Kathleen McIntosh, and asked her if she’d mind doing something different and close-miking it like a rock instrument instead of putting up an X-Y pair somewhere in the distance. I miked the harpsichord both ways, traditional and the way I wanted to do it. She loved the close-miked version; she said “That’s what it sounds like when you’re playing!” Classical music reviewers tend to be conservative, but the recordings got rave reviews. I think it’s important to constantly re-examine the ways we do things. Would Bach have close-miked and multitracked the Brandenburgs had the technology been available? Or course! Imagine how those beautiful harmony lines would sound if you could really pick them out individually, with some tasty room mics to fill out the imaging. As to how I’ll achieve it, well, maybe someone will read this interview and fly me to somewhere in Eastern Europe to do the recording! OLM: What is your attraction to the music industry? CA: It’s sort of a biological imperative. As an industry, it lets me combine my love of art and technology. I went to an Andres Segovia concert when I was 9 years old, and at that moment, I decided I was going to be a musician and I was going to play guitar. My initial training on guitar was classical. OLM: Do you have any typical days? What does a typical day look like for you? CA: I work all the time, which is something I don’t necessarily want to do, but I do have a great job. That Talking Heads song [‘Found a Job’] gives some really good advice—“If your work isn’t what you love, then something isn’t right.” That’s not always possible, but it’s a worthy goal. OLM: What is your favorite part of the job? What is your least favorite part of the job? CA: My favorite part is being a part of this industry. There are more cool people per square inch in this industry than any other, it’s like a refugee camp for people who don’t fit in elsewhere because they’re not greedy or mean-spirited enough. My least favorite part is the constant pressure. It’s not just deadlines, which are bad enough, but I try to set very high standards for what I do. I’ll do that extra edit, I’ll spend those extra hours trying to chase down a bug in a piece of software I’m reviewing so I can tell the company. I take writing reviews very seriously and I’m always afraid that I’ll have missed some horrible flaw or some great feature. Another issue is that I think a lot of people on the net are just plain rude and clueless, yet they have a platform for their rudeness. I try to engage them, but sometimes it’s just not possible. You can’t reason people out of positions they didn’t reason themselves into. OLM: Speaking of rude and clueless people…as Editor-in-Chief at Harmony Central, you offer great advice and often have entertaining remarks. Do you ever get upset with some of the posts you read? How do you just not rip into some of these posters? CA: I’m pretty tolerant…”Nothing’s better left unsaid.” I try to educate people gently, and most people respond to that and soften up. When they don’t, I will admit that the Mongol blood in me surfaces occasionally, and I do my very best to humiliate them publicly before banning them. I’m not proud that I feel that way sometimes, but it’s entertaining for everyone else! OLM: There are now over 300,000 registered users on HC. What do you think led to its popularity and why does it have such great staying power? CA: It’s the community that has the staying power and makes Harmony Central what it is. I’m just a very active part of the community. You don’t give credit to the wine glass for the wine that it contains. 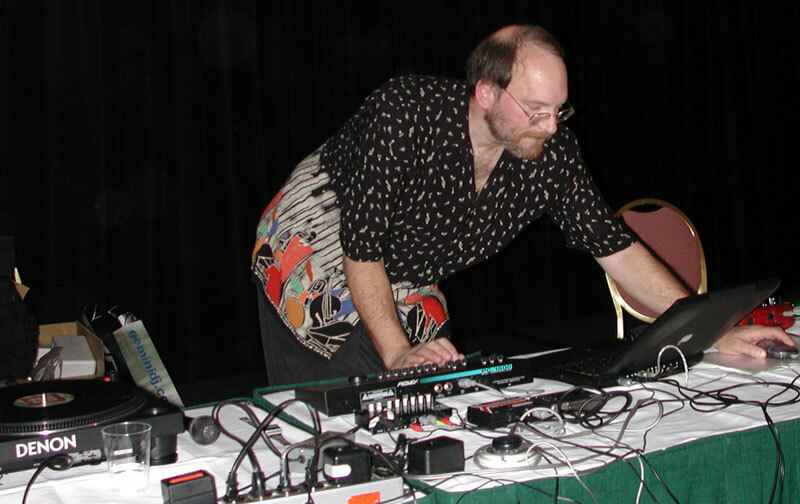 OLM: You were an editor at Electronic Musician from 1984 to 1990. The timing couldn’t have been more perfect, with MIDI in full bloom and all of the 80s new wave bands releasing album after album. What are some of your more memorable moments during that stint? CA: It was a tough gig, actually. When Mix bought EM, I told them I’d do the gig for five years, and I left five years to the day. I couldn’t wait to get out of there. The irony of being Executive Editor after all these years is not lost on me, but I got a call to turn EQ magazine around after it had been damaged by an editor not of this industry, and when it morphed with EM, EQ had in fact been turned around so I was the logical choice to carry on with EM. But actually, Sarah Jones deserves the credit for being the glue that holds that operation together. CA: Never. I went to the University of Pennsylvania to major in electrical engineering and I wanted to minor in music. They said that wasn’t possible. I said that in order to pay for college, I needed to live off-campus to store my instruments because I played gigs every weekend. They said that wasn’t possible. So, I decided it wasn’t possible for me to go to college. I took a leave of absence to tour with the rock band Mandrake, and never went back. I think technically, I’m still on a leave of absence. OLM: Where do you find the time to do everything that’s on your plate? Any tips or tricks to retain the sanity and keep the blood pressure low? CA: That would take a book! And several people have asked me to write it. I guess the bottom line is synergy; anything you do should have multiple applications, and be done in the most efficient way possible. It takes me X amount of time to do something if the time is right to do it, but 4X the amount of time if it’s forced. That’s just one element. OLM: You’ve been surrounded by gear almost your entire life. What are some products that stand out in your mind? What gear can you not live without in your day-to-day musical journeys? CA: That’s a tough one, there’s a lot of great gear. I think MIDI has been an awesome development, and not everyone understands just how beneficial it has been to the industry. Although people credit the ADAT with starting the digital recording revolution — and that’s correct — it was often the Mackie CR1604 mixer that people used to mix down their ADAT tracks. I remember when Greg Mackie set up his mixer on a card table at the Chicago NAMM show next to a staircase, and I thought that mixer had serious potential. Speaking of mixers, the Panasonic DA7 was a fantastic piece of gear; totally underrated. It sounded great and had a UI you could operate while unconscious. For guitars, people diss Gibson’s high-tech guitars like the Dark Fire and Dusk Tiger, but they’re truly advanced instruments. They’re really electronic guitars, not electric ones. For electrics, I love my PRS guitar just because it plays like butter…I become a better player when I strap it on. It wasn’t built, it was crafted. I also don’t think enough people give credit to the new James Tyler Variax. It’s finally realized the full potential of the Variax, and the Line 6 DT25 amp is unusually innovative. Creamware’s SCOPE was brilliant, but UA has kind of picked up that torch with Apollo. 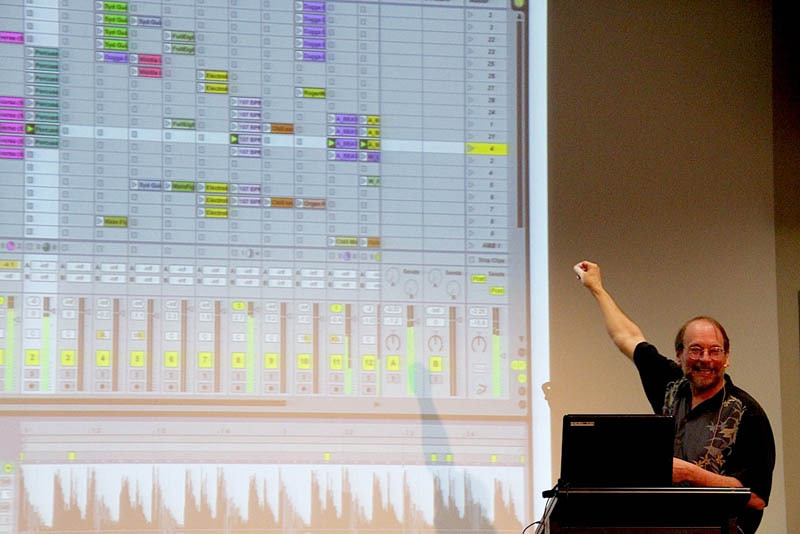 As for software, Ableton Live is a musical instrument disguised as software. It has such a fresh approach. My main DAW is Sonar, although I pretty much use all of them, and I have to give props to Native Instruments’ Komplete and to their product line in general. For DJ gear, I’m a Traktor head but while I like NI’s S2, I think Numark’s 4TRAK controller is pretty much the ultimate Traktor controller. Of course there’s the Minimoog; Moog Music still has the recipe for synths. And I really have to put in a good word for Hartley Peavey. He came out with a lot of technologies before anyone else, but never really got the credit for creating a technology company. He’s smart, ethical, and real. I have a great deal of respect for him and his company. OLM: Of all of the (music-related) accomplishments you have made throughout your life, what stands out to you as the most important and why? Which one is your all-time favorite and why? How about non-music-related accomplishments? CA: Maybe this is a strange answer, but I’m proud of everything I’ve done. Playing Carnegie Hall has equal weight to helping someone who attends a seminar make better music. I really don’t do anything without putting my full effort into it. That’s not bragging, it’s just the way I’m wired. I’m very competitive, but I compete mostly with myself. OLM: You are obviously on the cutting edge of technology, building and utilizing synthesizers, drum machines and guitar pedals long before they became de rigueur. So what does the future of music hold? What’s “the next big thing”? CA: People becoming so comfortable with technology that it doesn’t get in the way of their artistic muse. I feel I’m getting to the point where I’m as fluid with software and computers as I am with guitar. Expressiveness with technology is the next frontier. OLM: As a man of many hats, if you could only have one hat, what would it be: musician, author, engineer, electronics tinkerer, etc…? CA: Father. My daughter is the ultimate do-it-yourself project, and the coolest person I know. CA: Be aware it’s a low-paying industry, but it’s also a somewhat naïve one. If you can do something really well, you’ll find a place. OLM: What’s next for Craig Anderton? CA: Well, never referring to myself in the third person is one of them! But, “always in motion, the future.” I do want to get more of my music out there. I have no delusions that it’s pop music capable of selling zillions of copies, but some people really love it and I want to make sure they can get what I’m working on now, as well as some of what I’ve done in the past. I think the music I’m making now is the best of my career by a long shot, but I don’t have a desire to “make it.” I’ve made it, by my standards. I just want to do it for my own pleasure, and make it available to those who want it. Maybe this would be a good time to plug my YouTube channel. I upload my music there as music videos. But besides wanting to be involved with music and technology, I never decided what to do with my life; life always told me what to do. The only reason I have all those books out is because of a mistake! I wrote an article for Guitar Player on how to build your own headphone amp, and they thought it wouldn’t interest anyone but I think they just wanted me to quit pestering them. Their art department made a mistake in the schematic, so the project simply couldn’t work. They got over 300 letters that ranged from “I can’t get it to work” to engineers pointing out the error. They figured that meant there was interest, so they asked me to write Electronic Projects for Musicians. I had no idea how to write a book, but I had John Muir’s book, How to Keep Your Volkswagen Alive. I knew nothing about cars, but that book taught me what I needed to know. I realized it was the perfect template for telling a complete newbie how to do something, so I followed the same kind of flow for Electronic Projects for Musicians. 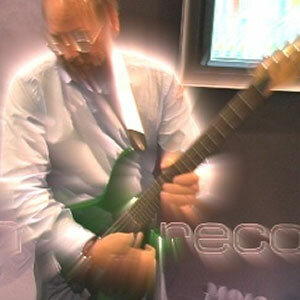 That did well, so I wrote Home Recording for Musicians. And one thing led to another. I did advertising for several Silicon Valley startup computer companies back in the 70s, but that was by accident, too. Bill Godbout asked if I knew how to do magazine ads, and I was pretty destitute at that point so I said “sure.” Well, I was clueless about how to do magazine ads, but I did the best I could. It didn’t look like any of the other ads, so it really stood out and therefore, got a ton of responses. Bill figured I was probably some kind of marketing genius. So I just decided to do the opposite of conventional wisdom, like “never do all-text ads.” I did all-text ads, and they stood out as well, and they also got a great response. The agency eventually turned into a million-dollar company, but I left before that point because although I had a really good run, it was keeping me away from music. CA: Hah! Sleep and eat, I guess. But I really like to soak in natural hot springs. CA: Miles Davis, Jimi Hendrix, Johann Sebastian Bach, John Coltrane, and Buddy Holly. And I’d sneak in everything Dr. Walker ever did by doubling up his CDs with the other ones. CA: I have no guilt about listening to anything! I love dance music, there’s nothing like 80s French dance music like “Magie Noire” or rave stuff from the 90s. I was listening to some really poppy dance music and a friend of mine said “You actually like this sh*t, don’t you?” Well, yes, I do. So sue me! CA: As mentioned previously, there’s my YouTube channel. I also tweet on occasion. I have a website and Facebook page, but haven’t maintained either one. I’d love to find the time to remedy that. The easiest way to follow what I do is read my articles, listen to my music, and participate in my forum. But, I’m not really into putting myself out into the world except through what I create. I’d venture to say that very few people in this industry know anything about who I am as a person. But I’m not sure what interests me is of general interest anyway. I’m fascinated with creating physically viable models of abstract concepts, which of course ties in perfectly with music. As one example, I think I’ve cracked the code of what consciousness is from a physical, not so much spiritual, standpoint. This influences everything I do. People wonder how I was able to do circuit design without having any training, but it was really quite simple once I considered the various components as being elements that when combined, formed a physical being with some degree of consciousness. The more internally consistent this physical being could be, the better it would perform in terms of its intended sonic task. When I refer to computers as my pet brains, that’s not a joke. Computers have consciousness. It’s very different from human or animal consciousness, but it’s consciousness nonetheless. People who constantly have problems with their computers don’t recognize or work with that consciousness. I don’t use my computers; I have relationships with them, and in return, they serve me well. That’s what they want to do if you give them the chance. The Hawaiians have a concept called mana, when a spirit is infused in a physical object; mana is “the stuff of which magic is formed.” I know that’s valid, because once I was given a guitar and for some reason, I couldn’t help but play it with a very funky kind of R&B style, which was totally not the way I normally played. I later found out it had been owned by a lady who played in a funk band in San Jose. That made a big impression on me. That kind of thing is nothing special, and it’s something everyone experiences. The problem is they’re not trained to recognize it. I did biofeedback training for a while, and that allowed me to recognize subtleties that had previously escaped me but really, are there for all to see. As an analogy in musical terms, to most people music is kind of a wash of sound; but a trained musician can pick out every instrument that’s playing in an orchestra. OLM: Are there any questions you would’ve liked to have been asked? What are the questions and what are the answers? CA: I guess the only one is “Why are you so selfish as to keep having fun with music and technology when there are so many issues in the world that need to be addressed?” I am very aware of the environmental consequences of high-tech manufacturing. I don’t like the “throw-away” mentality of so much gear. Why can’t people replace the one defective part instead of doing a board swap—assuming that part is still being made? Things like genetic engineering of crops scares me, it’s not up to us to play God. The way energy is generated and consumed is problematic. It amazes me there are still people who judge others by their race or religion, not by their personalities and their actions. You’d think by this point racism would be in the same category as thinking people are witches. It really bothers me that we have all the resources necessary on this planet to mitigate suffering and provide food, clothing, shelter, and security for everyone. We could be living in paradise, but we aren’t because people are fragile, fearful, and often, greedy. Why are we here? I decided early on the only way for my life to have meaning was to leave the world in a better place than I found it. I do feel I’ve contributed a lot, including on levels that people don’t know about. But it has never been enough, no one person can ever do enough. I hope that I’ve set an example that it’s better to share knowledge than hoard it, better to have sympathy for people than to condemn them, better to admit when you’re wrong than dig in and try to prove you’re right, better to realize you’re highly imperfect and give others the same slack, and better to treat every person equally, with respect and understanding. That’s about all I could figure out to do. I wish it could have been more.